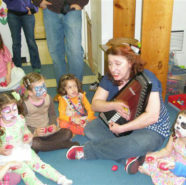 Musical Birthday Parties are interactive parent/child musical fun. Parties consist of a customized 45 minute itinerary that includes autoharp, eggs, sticks, jingle bells, parachute and giant instrument play along! There are balloons and then there are BALLOONS. We do huggables, wearables and light up balloons. Adults love the headband balloons, ring balloons and bracelet balloons. We also offer Balloon Candy Cups that can be used as party favors. Each cup comes with a customized balloon character in a cup filled with treats. 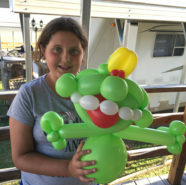 What can you make with balloons? The possibilities are endless! 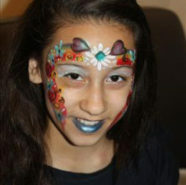 We offer beautiful, artistic facepainting. We use only FDA approved paints (including Snazaroo, Wolfe Brothers, Krylon, Ben Nye and Silly Farm). All paints are easily removed with soap and water. With 15 years experience in New York City, you can be assured that your party will be a hit! 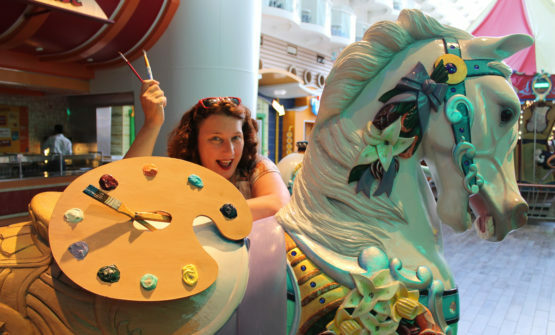 Donetta is not only incredibly creative with her face-painting, she has a wonderful way with children, making them feel at ease and making the event energetic and fun for all. Super-friendly, really creative face-painting. Kids love Donetta. If you are looking for a fun way to make a party special, look no further. I will definitely hire again and would refer her without reservation. I found Donetta through my daughter’s Music Together class in Bay Ridge. Her 1st birthday party was on April 26th in Sheepshead Bay. Donetta’s face painting fees were very reasonable! She is very talented – delighting both the children and adults alike with her face (and arms and hands, etc) artwork- butterflies, tigers, spider man- you name it- everyone loved it. She has a great personality and went above and beyond by staying longer than the hour or so to please all. Donetta was the hit of my nine year old’s party in December. She was just great, lots of very creative work with boys and girls. She made magical snow princesses with lots of silver glitter and some pretty ferocious animal faces for the braver kids. She was just great and the line for her work sort of took away from the pizza eating so we had loads left over. I’d say she was the part of the party everyone will remember. Donetta is pleasant and very gentle with the kids and they each went nuts with awe when she handed them the mirror to see her creation. You will be glad you added her to your child’s party. Don’t forget your camera! Donetta is not your ordinary face painter. Her designs are wonderfully creative and different! Donetta does an AMAZING job. We call her “our local Pied Piper” who manages to get every child – the shy ones, the young ones, the ones who think they’re too cool, and the ones who don’t know her – involved, singing, dancing, playing and LOVING it! Our son requests her specifically year after year! We’ll be so sad when he ages out of birthday parties. We had Donetta Riley help us with our son’s 4th birthday party. He is a highly energetic young boy and I wasn’t sure what would be best for him — he isn’t one to do arts and crafts or sit for very long. He loves trains. Donetta transformed our playground into a train fantasy world where kids entered through a station and had to hand in tickets to the station master to climb aboard — it was amazing and the kids loved it.